Google wants to roll into your office, literally. Google (GOOGL) unveiled a new 55-inch digital whiteboard on wheels that is intended to "redefine meetings," or at least help Google gain footing in the workplace. 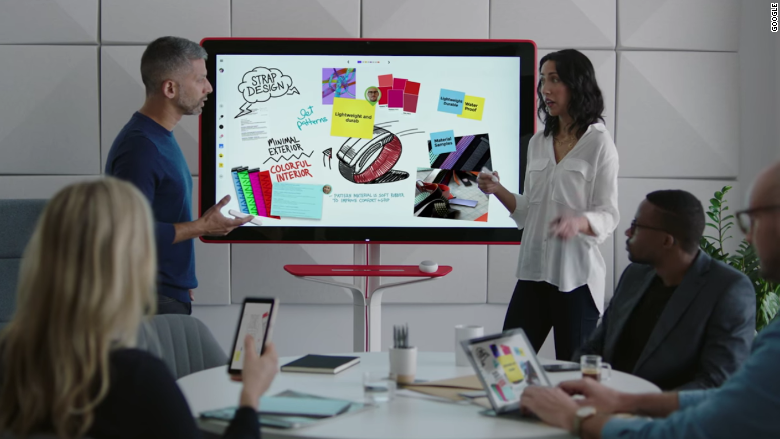 The product, called Jamboard, lets teams pull up documents and presentations on screen from Google's suite of productivity tools like Docs and Drive. Likewise, whatever you write or draw on the giant touchscreen can then be backed up online. 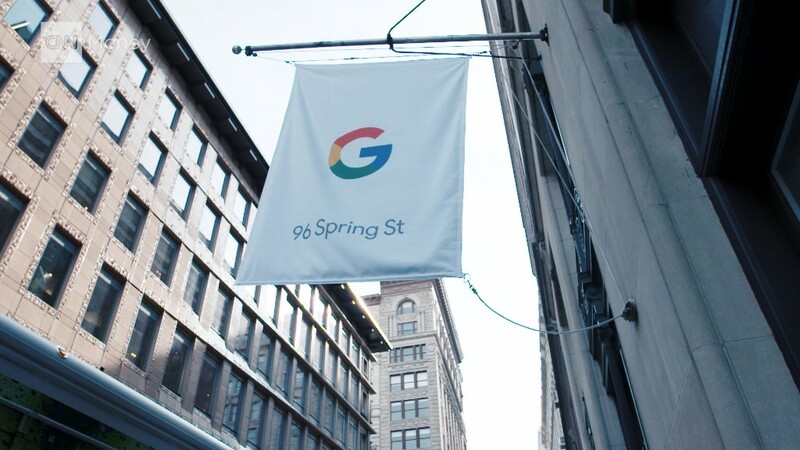 "We're moving the whiteboard to the cloud," TJ Varghese, product manager for G Suite, said in a blog post on Tuesday. The office product is the latest piece of hardware from Google. Earlier this month, Google showed off new phones, a virtual reality headset and a voice-controlled smart speaker similar to Amazon Echo. The Jamboard announcement comes at a time when Google is trying to bolster its cloud services for the lucrative enterprise market. Last month it bought Apigee for $625 million to expand its business cloud offerings. In the process, Google is competing with tech companies like Microsoft (MSFT), which has doubled down on cloud computing -- and which also sells a giant digital touchscreen for offices called the Surface Hub. Jamboard is expected to cost less than $6,000 when it goes on sale next year, according to the announcement. By comparison, Microsoft's 55-inch Surface Hub retails for $9,000.